Two weeks ago I wrote a very happy post about running on an AlterG. I’ll be honest and say my ankle hasn’t felt that great since. But I am not here today to kvetch about the Big Ankle Crisis of 2014-15. I’m here (LOUD AND PROUD) to tell you about the Biggest Biking Success Known to Date (caveat: on this blog). As a belated (and very thoughtful, generous) birthday gift, Matt bought me a bike for my birthday. After some research (and a decision-making process that left me feeling like I am turning into my mother at warp speed) we purchased an AWESOME bike. For those wondering, my new ride is is the Liv Alight 2. 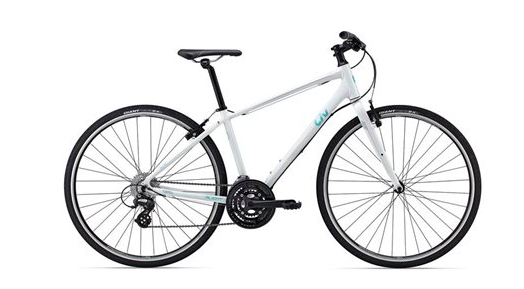 Liv is made by Giant (fun fact, basically every bike is made by Giant) and is made for and by women. So that’s pretty cool. Because moderation is for the weak, straight from the bike store Matt and I set off on a 21-mile bike ride through the city. As a refresher, mere months ago I could barely ride a bike. A year ago, I was riding without using pedals. Matt had planned to guide us from uptown Manhattan all the way to Coney Island. Starting from the Jeff and Larry’s bike shop on 79th and Third, we rode across town through Central Park to the West Side Highway. That’s right. 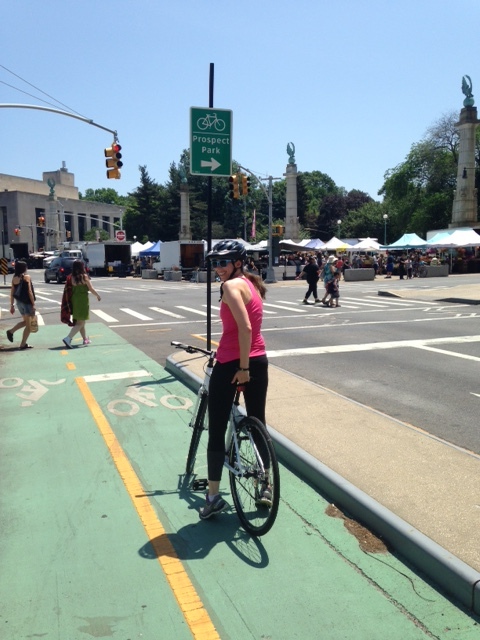 I rode through the streets of Manhattan sans bike lane as my debut ride. 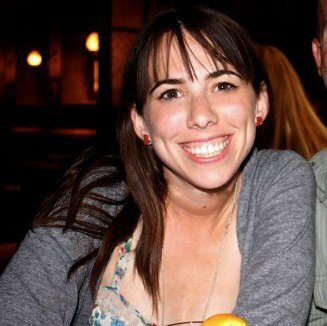 (Mom: I’m writing this days later, so I’m obviously OK.) There was a race going on in the park and I cheered for the runners while on my bike and I felt like a champ. 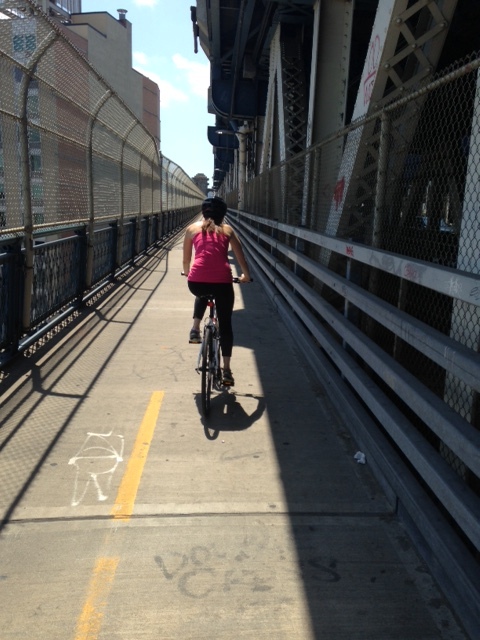 The West Side Highway while car-free is not attitude-free. Another cyclist almost knocked me over. That sort of sucked and shook me up. I thought all bike riders were best friends? 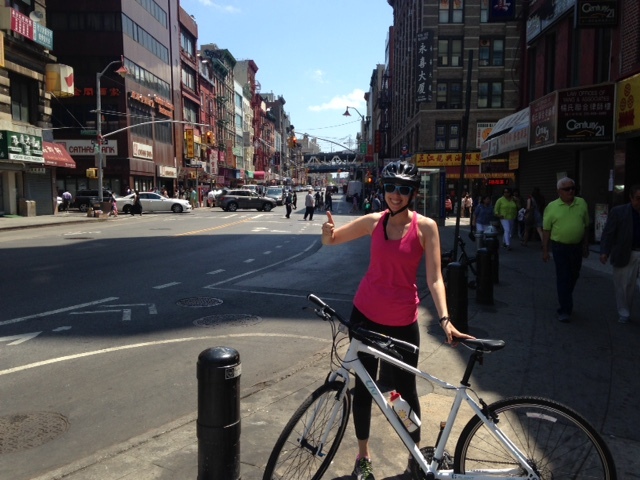 We left the WSH and headed east on Warren Street to Chinatown where we found the Manhattan Bridge. 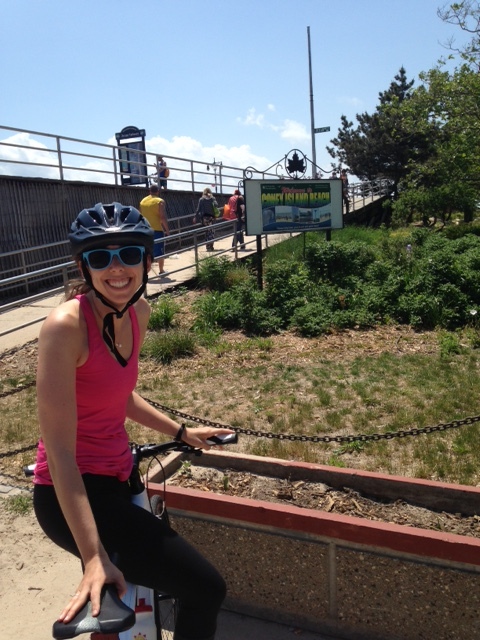 I highly recommend biking over this bridge and not the more iconic Brooklyn Bridge. The Brooklyn Bridge is packed with walkers, people selling magnets and no one keeps to their lanes, or moves in a forward motion. On the bridge, I started to feel a sharp pain in my right shoulder muscle. This is a sucky way to find out you even have a shoulder muscle. But you know, I was on a bridge, so I stretched for a second then I kept going. We rode by Dumbo, up some hills and through Fort Greene and finally I saw the oasis that is the bike lanes around Prospect Park. They are shielded from oncoming traffic by parked cars. In my opinion, moving cars aren’t as frightening as I thought they’d be. Mack Trucks, yes. But not your average sedan. As a new bike rider, I have a newfound fear of a suddenly opening car door. By this point I was losing my mojo, not because my legs were tired but because my shoulder was KILLING me. This was by far the longest bike ride I’d ever been on and I think I don’t have the right posture for my bike yet. Bike lane love. Note: The look-behind glamour shot does not work on a bike. Continuing on what had become my own Tour de France, we found Ocean Parkway. I was wincing in shoulder pain at this point so it’s very likely my feelings are coming from that place. But WTF. Everyone talks about what an accessible bike path those miles are but it’s completely broken ground. I felt like I was riding through rubbled sidewalks. Also it was about here I lost feeling in my hand and my wrist started to ache. Can someone please teach me how to sit on a bike? It seems so obvious. But then running seemed obvious, too. What’s more iconic than the boardwalk? The Cyclone? No? How about this sign. 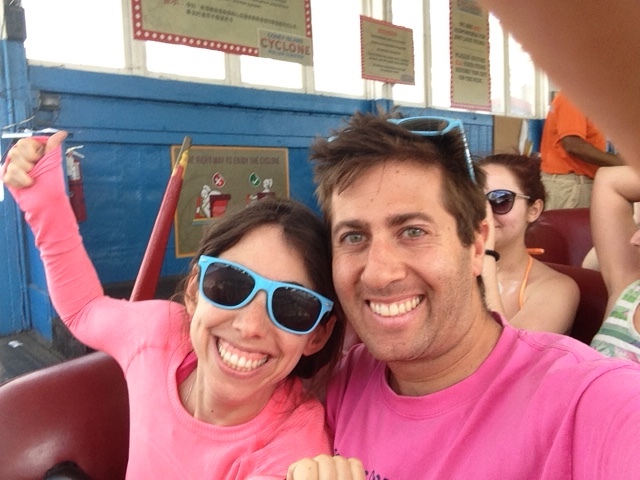 Finally, we made it to Coney Island. VICTORY! It’s five days later and I’m only now getting feeling back to my left pinky and ring finger. Is this normal? 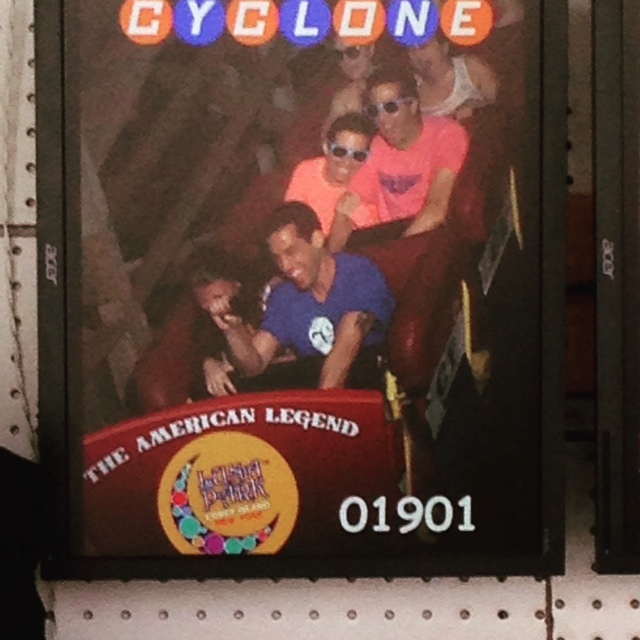 After riding 21 miles through the city, the Cyclone doesn’t seem scary. thank you so much. let me know if hadley is ever down for a ride. i think we probably cruise at the same speed.